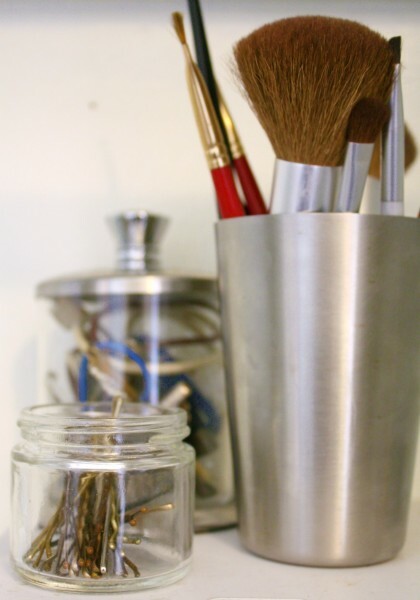 Below are 10 ideas to cheaply organize your home. Since the object of organization is not to buy stuff but to organize I have been trying to find ways to repurpose objects I already have hanging around. Plus I threw in a few cheap and/or creative ideas that might require getting a few things, but damn they look good and organized. 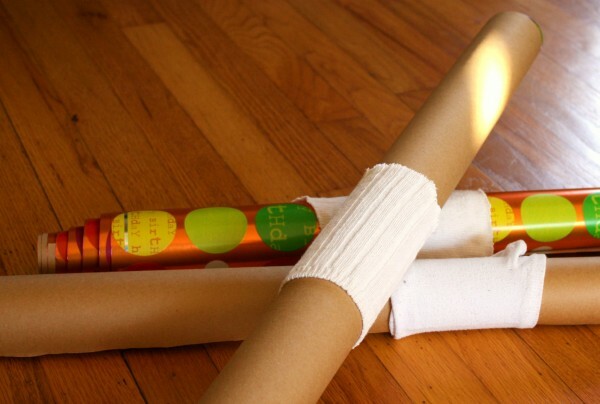 Get rid of single socks (you know the ones left behind after the sock monster eats one) and make a holder to keep your wrapping/craft paper from unrolling. Yesterday we made a mounted spice rack with baby food jars. Today we find they are the perfect height for loose bobby pins. 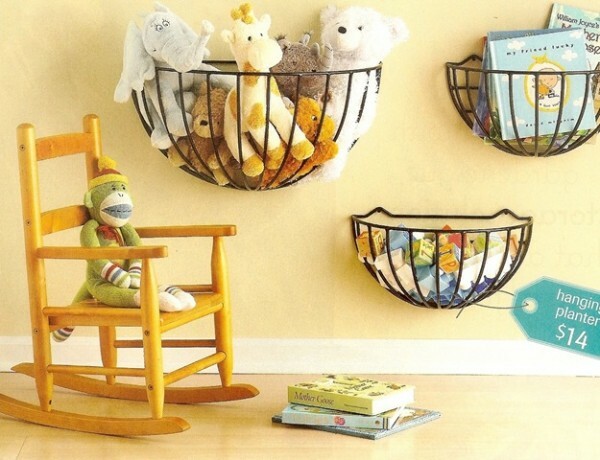 These are Martha Stewart magazine organizers. You can google them and find a variety of sources. Pretty, but bulky and expensive. I buy an old school trapper keeper, then yank out the articles/inspiration/recipes I want to keep from each magazine as I read it. Throw them in a labeled folder , such as recipes (like I’m actually going to do any of those), or three hole punch and move on. Sure the racks of magazine containers can be pretty but the single folder takes .1% of the space and is a lot faster since I don’t have to flip through for the article I am looking for. Got some unused hanging baskets in the garage? 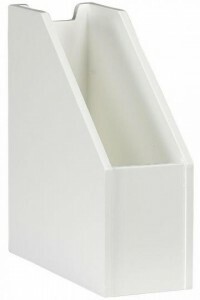 Pour out the dirt, remove the coconut liner, and hang from the ceilings or walls for instant storage. Image courtesy of Centsational Girl via BHG. 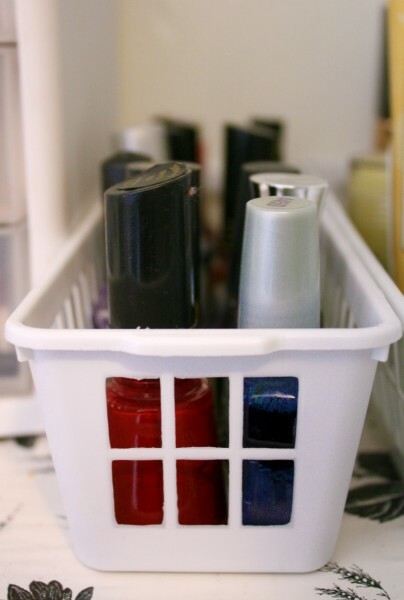 Those random plastic draw dividers made for utensils… Yeah perfect for nail polish, lotion bottles, brushes. The list goes on and on. Just think you could pay $10.00 on Amazon to store your nail-polish or .50 cents using kitchen gadgets. I didn’t actually turn that into that, but I’m hoping to. See the tutorial link below. 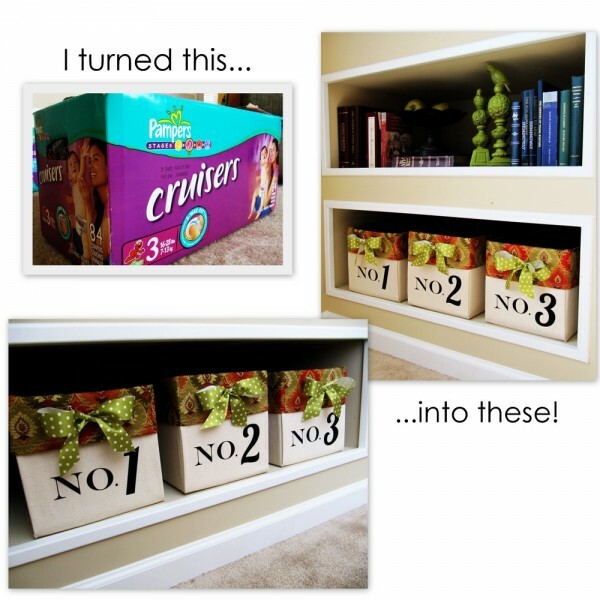 Sure the discarded cereal box is not the storage solution for everyone… BUT what if you could make it fabulous? Here is a tutorial at Positively Splendid that takes these ugly diaper boxes and makes them faboo! What other free packaging can I turn into chic holders? Maybe you aren’t into thrifting your footwear, but take a second look at second hand. Glass apothecary jar $1.75 and juice glass .75 cents at Goodwill. 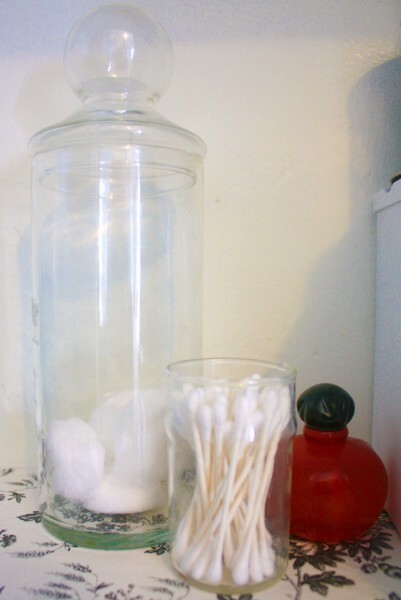 Keep in mind I knew I needed containers for Q-tips and cotton balls before I went so I didn’t buy a bunch of glass items that wouldn’t fit. 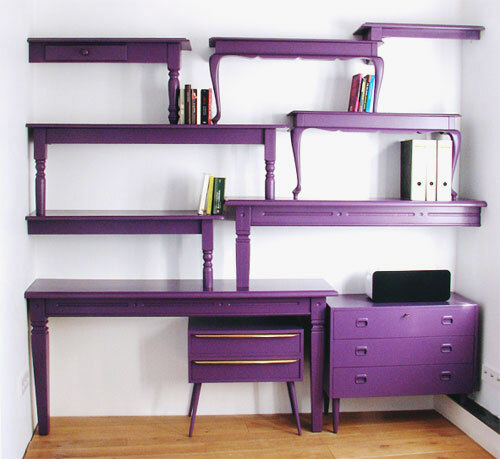 Old tables give a totally new life as bookcases. Yep, that takes the idea of using old furniture for storage to a new level. Image courtesy of Art Eko. 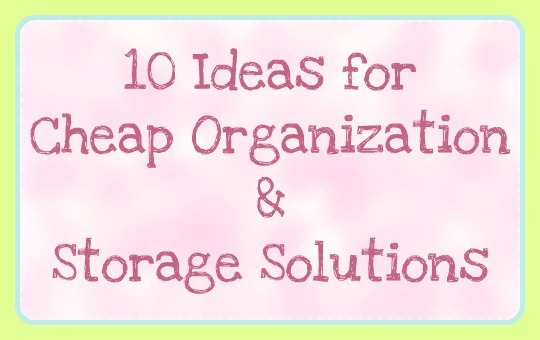 I hope this gets your creative juices flowing to find cheap or free storage solutions already on hand or right nearby.